« Habitat’s Fayetteville (AR) ReStore – Closet Maid deals! Kitchen sink in powder room? Don’t you like the curved corners on the cabinet to match the curves on the sink?Â I believe the homeowner said it took his carpenter four full days to build. 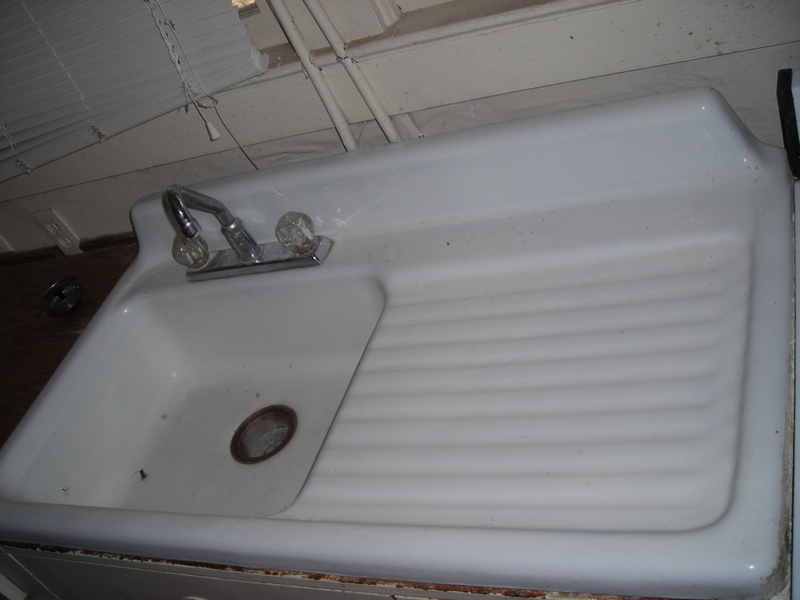 We just happen to have a sink with drainboard in our Apartment 5 with the porcelain in pretty good shape. This entry was posted on Thursday, January 17th, 2008 at 10:00 am	and is filed under antique sink, Apartment 5, House ogling. You can follow any responses to this entry through the RSS 2.0 feed. You can leave a response, or trackback from your own site. What a cute idea! I think that would look GREAT in a bathroom. 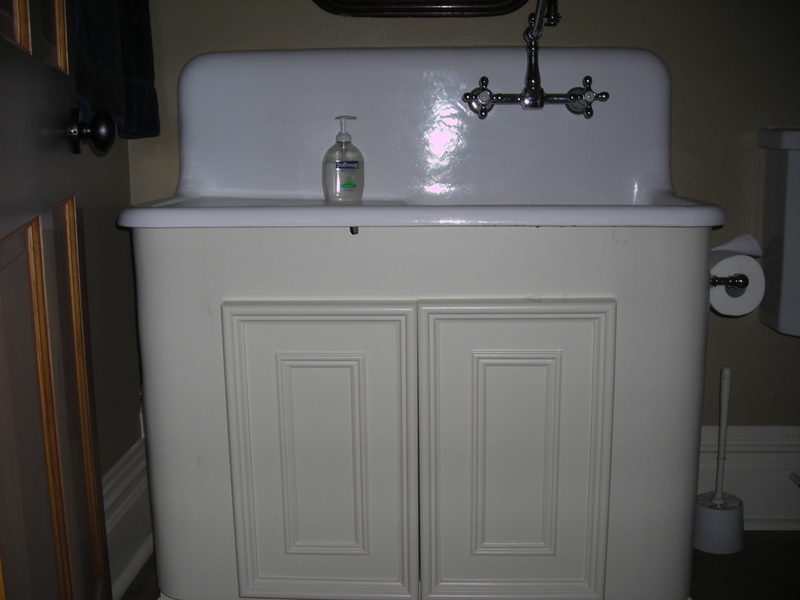 I have been looking for somebody to make a cabinet exactly like this to go with a Kohler Brockway sink. Do you have any contact information for the carpenter who did this? No, I don’t know who built the cabinet. For the cabinets in our kitchen, we just shared a photograph (actually an ad) with our cabinet maker and he built ones that were very similar.